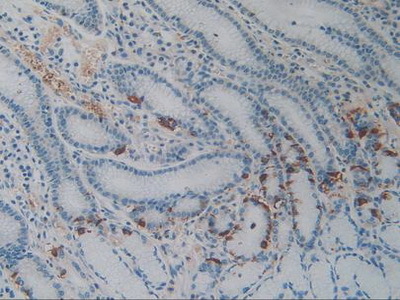 The antibody is a rabbit polyclonal antibody raised against ADCYAP1. 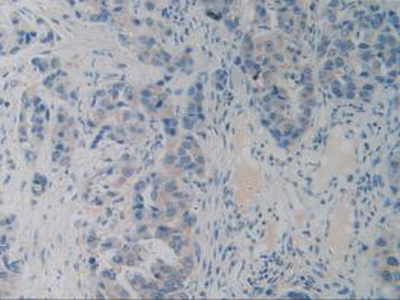 It has beenselected for its ability to recognize ADCYAP1 in immunohistochemical staining andwestern blotting. Recombinant ADCYAP1 (Ile17~Leu176) expressed in E Coli. Small volumes of anti-ADCYAP1 antibody vial(s) may occasionally become entrapped in the seal of the product vial during shipment and storage. If necessary, briefly centrifuge the vial on a tabletop centrifuge to dislodge any liquid in the container`s cap. Certain products may require to ship with dry ice and additional dry ice fee may apply. Western Blot: Sample: Lane1: Human Cerebellum Tissue; Lane2: Human Testis Tissue. 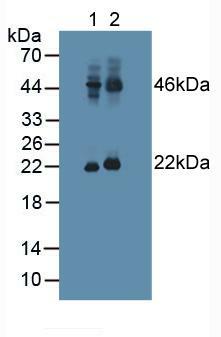 Western Blot: Sample: Recombinant ADCYAP1, Human. 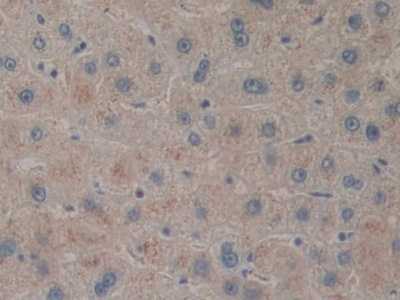 DAB staining on IHC-P; Samples: Human Liver Tissue. NCBI/Uniprot data below describe general gene information for ADCYAP1. It may not necessarily be applicable to this product. Binding to its receptor activates G proteins and stimulates adenylate cyclase in pituitary cells. Promotes neuron projection development through the RAPGEF2/Rap1/B-Raf/ERK pathway. In chromaffin cells, induces long-lasting increase of intracellular calcium concentrations and neuroendocrine secretion (). Involved in the control of glucose homeostasis, induces insulin secretion by pancreatic beta cells ().